UPDATE: The Avenging Angel Is Live! 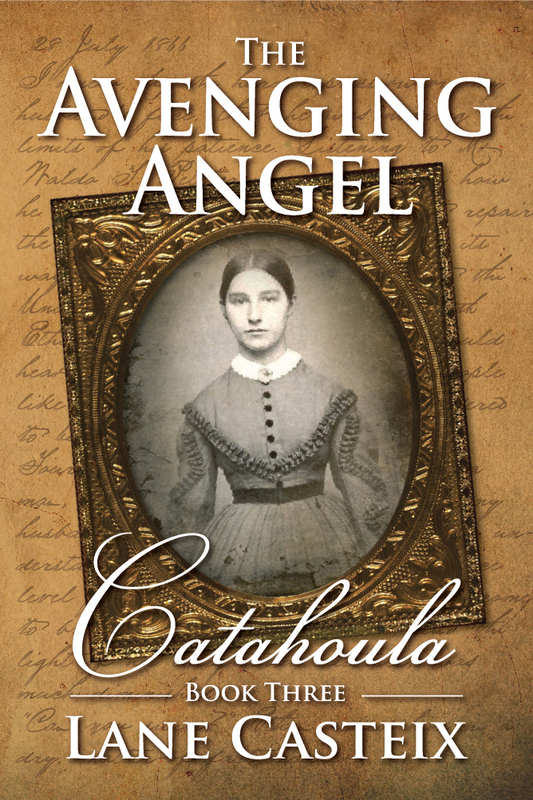 The Avenging Angel, Book Three of the Catahoula Chronicles Series is live. Meanwhile, here is a short excerpt from the book. Set up: Ethan has been seeking revenge for three murders and has been harassing those responsible who also happen to be members of a recently formed secret organization, the Ku Klux Klan. What he is doing is dangerous, and he ends up getting shot. Wounded, he can’t go home because Rachel is unaware of his nightly activities, so he goes to the only other person he can trust. I heard a scream behind me and turned to look. One of my pursuers had hit a low hanging branch and was unhorsed. His companion stopped to help him but decided to take one last shot at me first. The ball hit me in my left thigh just below the hip, but I could not stop to examine the extent of my wound and kept pressing hard until I came out on a road and turned south. Fearing some were pursuing, I pressed on until I was sure I was not being followed. I reined in Pepper and looked behind me and saw no one, nor did I hear any sounds of hooves. Assuming I had lost my pursuers, I turned Pepper to get more moonlight on my leg and found an entry wound but no exit. The ball was still inside—and had to come out. I couldn’t go back to Catahoula for help. I would be discovered. There was only one other place to go, so I tied a bandana around my wound to stem the flow of blood, pulled off my mask and hood and stuffed them in my haversack, and headed for Big Cypress. The house was in complete darkness when I arrived at Big Cypress sometime around three in the morning. I knew Laura used the front bedroom on the right side and eased out of the saddle to gather a few pebbles from the drive. Not wishing to awaken the servants or her father, I tossed a pebble against her window. Nothing happened. I realized I still had old Zeke’s hat on and tossed it under the bushes beside the house. I was just about to toss another pebble at the window when I saw a face peering down at me—Laura. I slipped my belt and loosed my fly to let my trousers down to my knees and painfully climbed onto the table. Comments Off on UPDATE: The Avenging Angel Is Live!